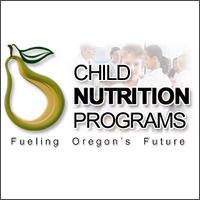 The Oregon Department of Education (ODE) is recruiting for a permanent, full-time Director, Child Nutrition Programs. This position is located in Salem, Oregon, and is in Management Service. Directs the operations of the Child Nutrition Programs by overseeing the administrative, and support activities consistent with policies and procedures established by USDA and ODE. Determines the most effective utilization of resources in order to carry out ODE goals and objectives for providing service to program sponsors and participants. Ensure ODE is in compliance with the Federal Code of Regulations 7 parts 210 -250, 3016 and 3019 (National School Lunch Program, School Breakfast Program, Child and Adult Care Food Program, At Risk-Snack and Supper Program; Summer Food Service Program, Snack Program; USDA Foods Program); Section 18 of the 2008 Farm Bill (the Fresh Fruit and Vegetable Programs); and Oregon Laws related to ODE CNP such as the Oregon Farm to School and School-Based Garden Program. Develops and implement statewide policies, goals, and objectives consistent with Oregon law and federal laws, rules and regulations for USDA Child Nutrition Programs. Provides overall supervision and leadership to CNP staff, as a management level team member, and represents Oregon at the federal level. Please visit the Oregon Jobs website for full position and application details. Applications will be accepted through March 5, 2018.